That’s right, racers! Cruise on into this Route 66-inspired diner and fuel up on the amazing new menu. 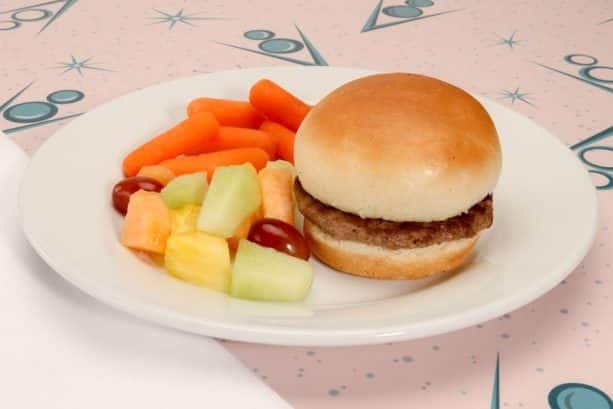 Starting today, you’ll find a brand-new lunch and dinner menu at Flo’s V8 Café in Cars Land at Disney California Adventure park. You’ll definitely want to make a pit stop to try these delicious dishes! Starting with the Pit Stop Classics, you’ll be saying “Ka-Chow!” when you try the amazing Ka-Cheeseburger. This 1/3lb angus beef patty comes served on a sesame seed bun with cheddar cheese, 1000 Island, and caramelized onions. 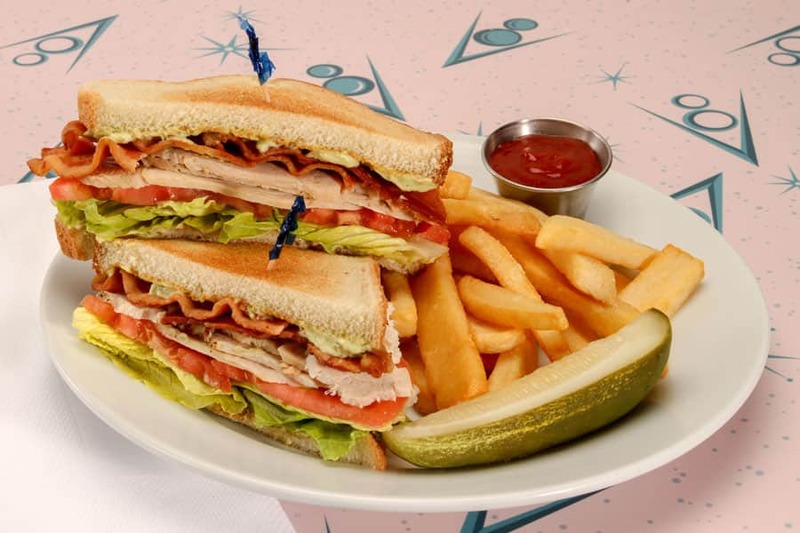 If you’re looking to dine in style, then Ramone’s Low & Slow Club is for you with turkey breast, crispy bacon, avocado-bacon mayo, lettuce, and tomato on toasted white bread. And then there’s the Fin-tastic Tuna Sandwich with albacore tuna salad, lettuce, and tomato on toasted wheat bread. If comfort food is more your style, then you’ll love the Drive In Dishes. 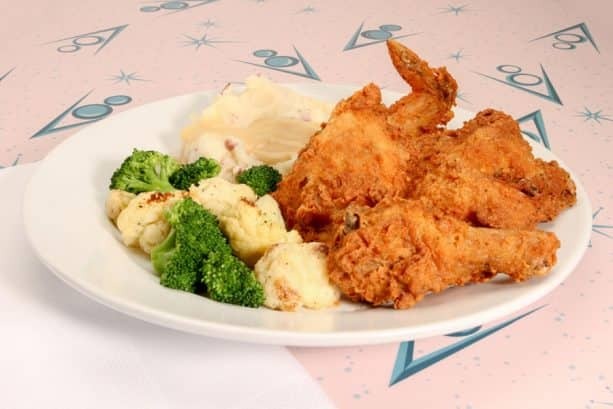 Flo’s Famous Fried Chicken starts off this list and comes with roasted garlic mashed potatoes, gravy, and seasonal vegetables. 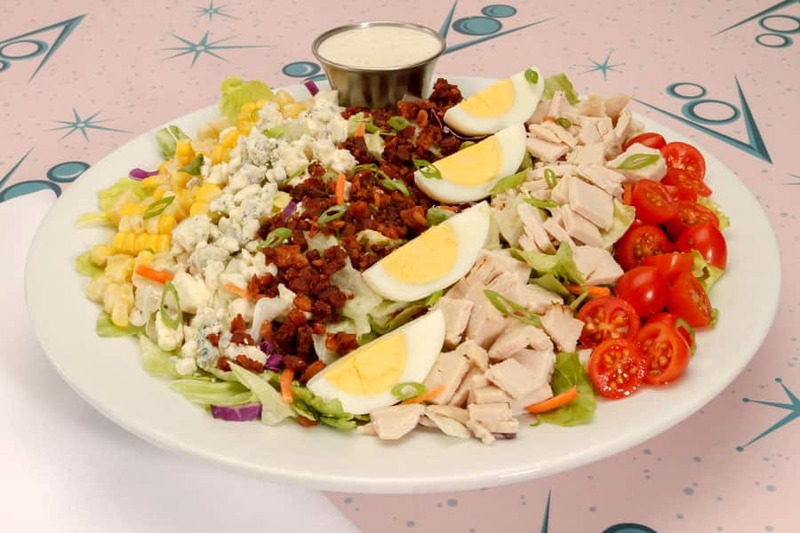 Then there’s the Cobb de Ville Salad with mixed lettuce, turkey breast, crispy bacon, blue cheese, hard boiled egg, corn, and tomatoes all topped with house-made ranch dressing. Fillmore has chipped in on the menu, too, with Fillmore’s Pot Pie! 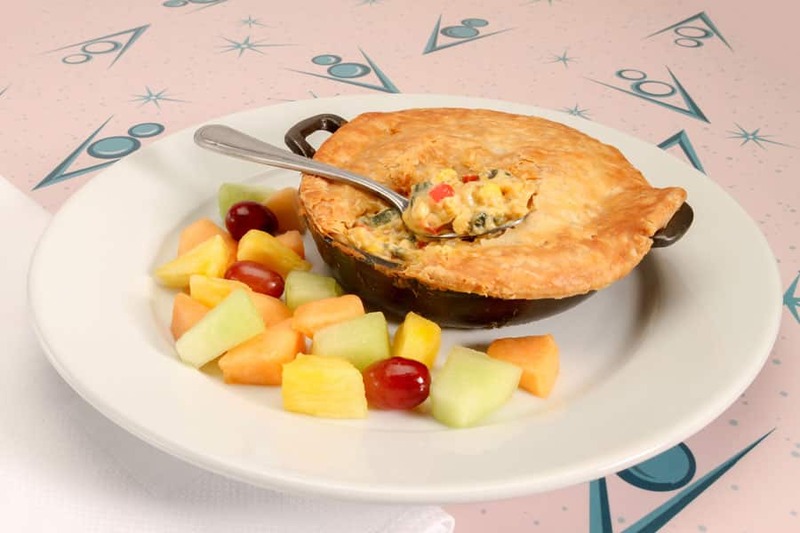 It comes in a flaky pie crust with creamy sweet corn, potato, chiles, and cheddar cheese and is served with fresh fruit. 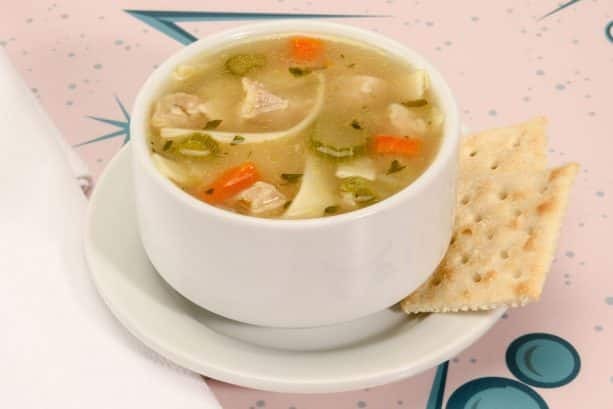 In addition to the Drive In Dishes and Pit Stop Classics, you’ll love the Checkered Flag Chicken Noodle Soup. And don’t forget to ask about the Blue Plate Specials. These specials aren’t listed on the menu, and you never know what you might find! For the Jr. Pit Crew, little racers can enjoy a Micro Burger, Chicken Fenders, Mack’s Mac & Cheese, or the Taillight Turkey Slider. 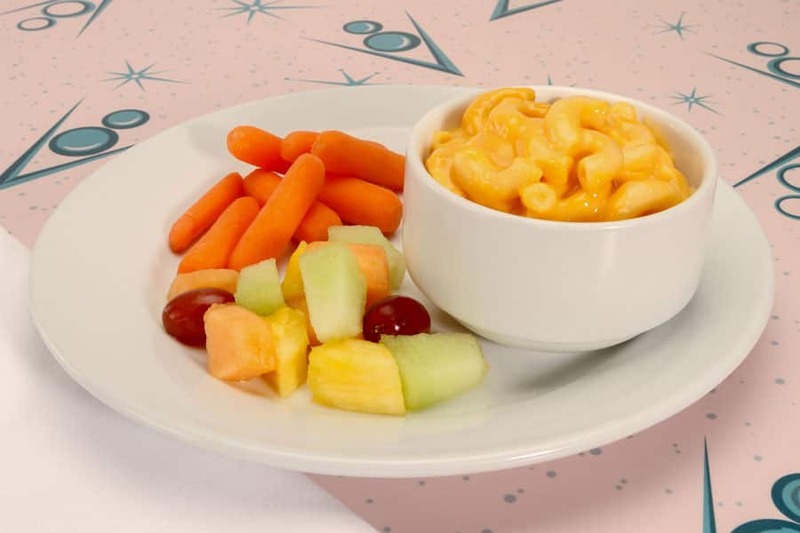 All these dishes are served with fresh fruit, baby carrots, and a choice of a small lowfat milk or a small bottle of water. Now what diner would be complete without some tasty milkshakes? Flo’s Classic Shakes are just the thing to satisfy that sweet craving. 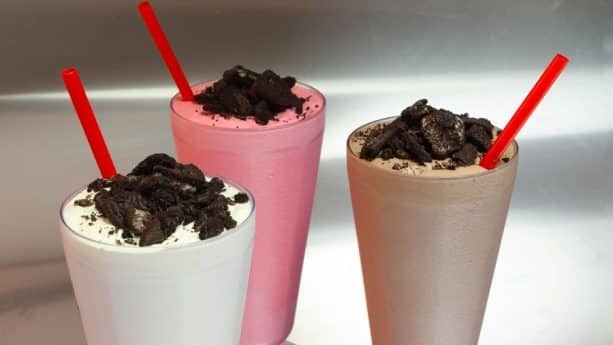 Try a vanilla, chocolate, or strawberry shake topped with “Road Gravel” cookies and cream crumbles. You can even get it in a fancy souvenir glass to take home! Also on the dessert menu will be a rotational dessert, starting with the delicious Strawberry Pie. You can also fill up your tank with refreshing fountain beverages, milk, orange juice, coffee, hot tea, or hot cocoa. For guests over the age of 21, specialty draft beer and wine is also available. Drafts include Victory Prima Pilsner and Bear Republic Racer 5 IPA, and wines include Kendall-Jackson VR Chardonnay, Coppola Rosso & Bianco, and Red Sangria. Once you stop by for a meal, you’ll be revving your engines for more – this new menu starts today at Flo’s V8 Café in Cars Land at Disney California Adventure park. Drive on over to Radiator Springs and take these new eats for a test drive! I am very disappointed. Flo’s was one of our favorites. We will be there 11 days this summer, and I don’t think Flo’s will be on our list any longer. All of our go to faves are now gone. Boo Disney!!! Disappointed. How does a menu get “updated” and end up even more restricted? Looks so much better than the old menu! I’m actually excited about eating here now and want to try both the club (hoping they can remove the bacon) and the chicken plate. I can enjoy both the 50s diner ambiance and the food. Plus, this menu seems to fit the theme better than the old one. Very disappointed to see this. As a family with diverse eating needs/desires, we visited Flo’s every visit. It was unique and had a vegetarian option that was actually good. Now it’s just another burger and sandwich place. Sadly, we will not be returning to Flo’s when we visit this summer. Really disappointed. Hoping for more vegan food. Two minds here: first, SOOOOO glad the allergy friendly options are listed on the app. With family that’s a major issue. Plus the fried chicken is a great addition. But MAN has this menu gotten duller over time. The rotisserie stuff was good and I loved the roast beef sandwich. Plus ribs have gotten harder and harder to find as an option and this was a good place for them. What a bummer! This was one of my favorite places, I’ve gotten a few people addicted to the roast beef sandwich with slaw. Now this place is only good for getting a chardonnay at 10am or did you all do away with that option as well? It’s good to change up the menu once in a while. The ribs were good, but this new items look great. No More Tater Bake? Boo! No, this is a serious upgrade for a place that had such a not so great menu. 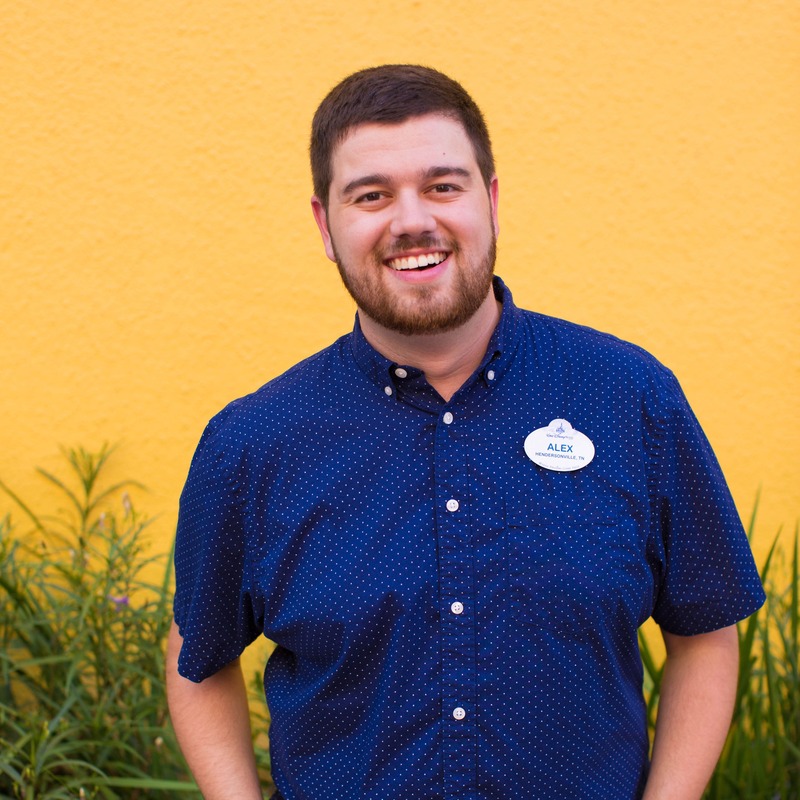 We visit Disneyland and California Adventure for the food as much as the rides and “Disney Magic.” Unfortunately, I’m very disappointed with this menu change. In a word…boring. When the food doesn’t even look good in the pictures, we’ve got a problem. Not sure who’s idea this was. This is a serious downgrade for a place that had such a wonderful menu. What about the breakfast menu ? Look Yummy!!! I am so happy that Flo’s changed it’s menu. I’ve always wanted to eat there, but never liked the old menu. Now a lot of the menu items look Yummy! I’ll be eating there for the first time on my next Disneyland visit! Variety is the spice of life. I’m excited to try something new! Disappointed by this. I loved the roast beef sandwich, the ribs, the veggie tater, and the sides. It was a unique menu. Unfortunately, this is one restaurant we won’t be eating at anymore now that the menu is generic. Steak fries and fried chicken! Yes! Thank you! Love the new menu! Love the new menu!!!!!!!! Looking forward to eating at Flos on our July vacation!!! So happy about the change!! Oh, no—is the hot turkey sandwich gone, too? Its my son’s favorite and how he asks me to prepare Thanksgiving dinner now. I’m really happy for the club and even the tuna! Nice options from some of the seasoned, heavier foods that were offered. 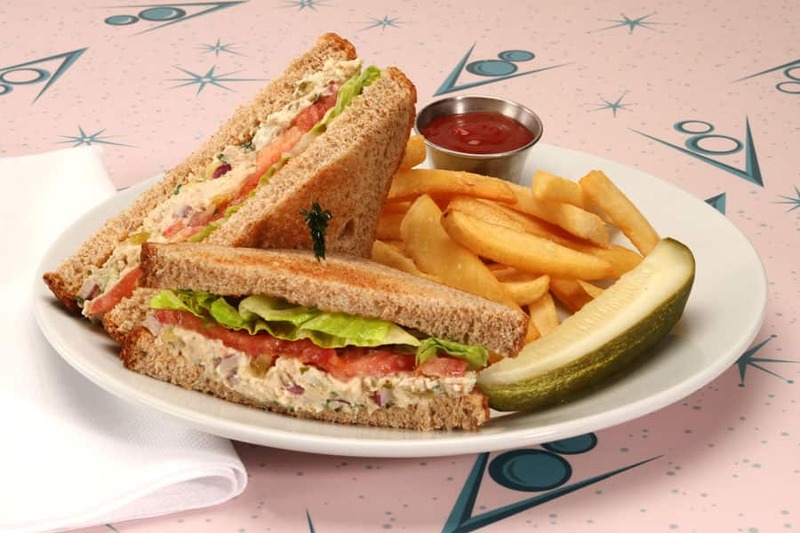 I love the tuna – reminds me of eating at Chicken of the Sea ship in Fantasyland! Thanks for these additions! 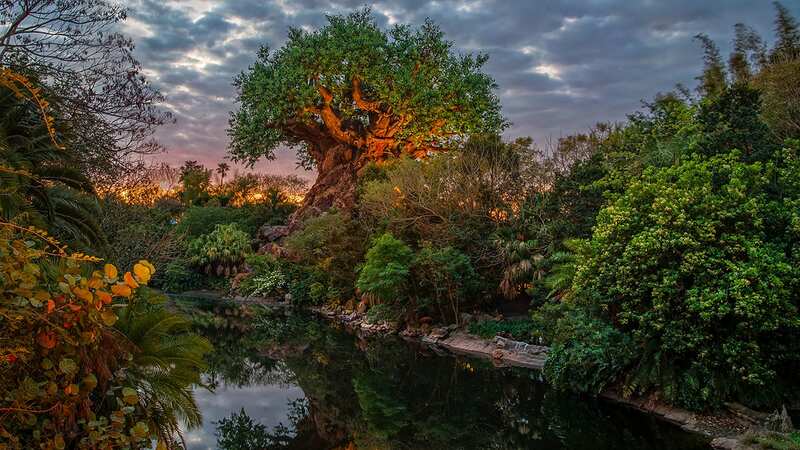 Is there any truth to the rumor of a pre-park opening breakfast package coming to Flo’s V8 that would include access to Cars Land before the public?? Oh no! Did they get rid of the vegetarian shepherd’s pie? It was the best vegetarian option in both parks!!! My family and I are super excited about the change! When Cars Land opened we were so psyched to eat at a real life Flo’s. I was disappointed when my kids, husband and I didn’t really like the options available. The roast beef sandwich was okay, and the milkshakes were yummy, but other than that it wasn’t food we would normally order. We are passholders and have only ate there once. Now we will definitely be back with the new menu. The club looks yummy!! But mike, at least they have imaginative names now! Oh no! The chicken meal is gone? I’m usually open to changes, but loved the chicken meal as it was a healthier option. The Cobb salad looks good though. SAY IT AIN’T SO !!!! No more roast beef sandwich ???? It’s off the menu ????? 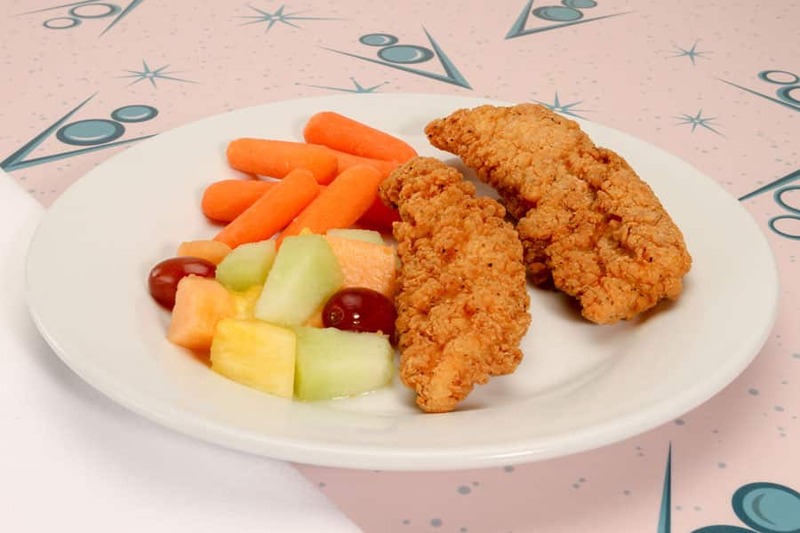 Ugh… This is not a good change, Disney Food People. The previous menu was unique and really good/tasty. Cheeseburgers and club sandwiches? Really? How boring and unimaginative is that?? ?